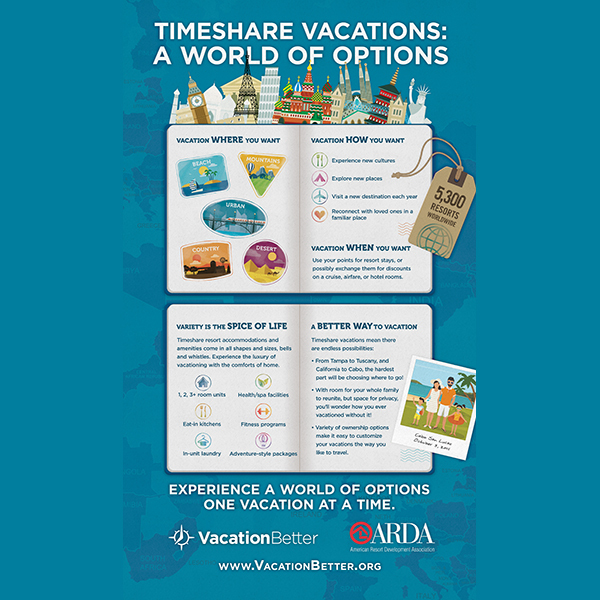 A new infographic from the American Resort Development Association (ARDA) shows that experiencing a timeshare vacation is about vacationing on your terms. The graphic depicts the endless options of choosing when you want, where you want and how you want to vacation as the differentiating value of timeshare vacations. 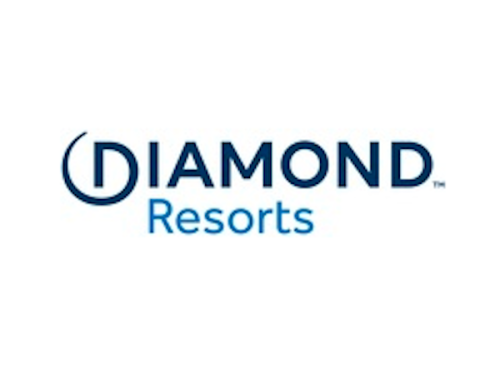 More than 5,300 timeshare resorts located in 100 countries. Countless destinations for every kind of traveler: beach, desert, mountains, country, urban cities or golf retreats, and more. New places to explore, revisit favorite spots, or reconnect with loved ones. A vacation experience with luxury resort accommodations but the comforts of home, and elbow space for everyone to relax.